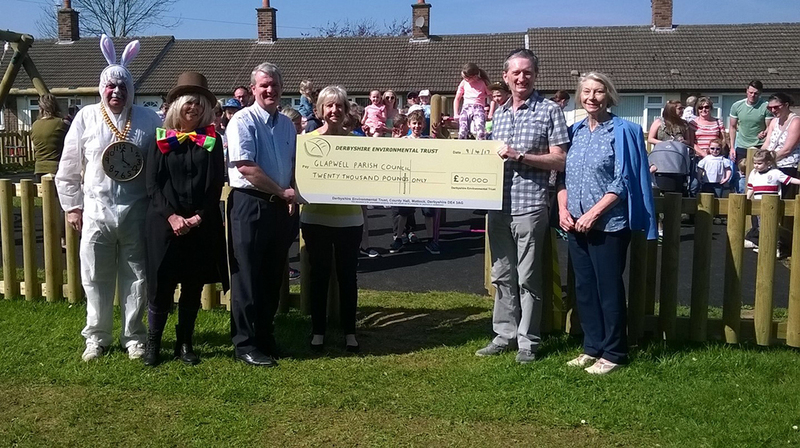 Trevor Witts, Chair of Trust joined the fun and handed over the cheque. Councillor Ann Syrett, leader of Bolsover District Council also attended. The opening was followed by an Easter Egg Hunt organised by members of the Glapwell Community Development Group. Over 40 children, and their families took part, and each of them were rewarded with an Easter Egg. Everyone enjoyed a buffet lunch hosted by the Mad Hatter and Easter bunny.